1.  Appointment at Pure Herbal Ayurved Clinic is only confirmed after advance payment for the requested service. 2.Pure Herbal Ayurved Clinic requests a minimum of 24-hours notice for cancellations prior to the scheduled session. You may cancel your appointment without charge anytime before the 24hrs preceding your appointment. All the money will be refunded into your account. 3.Same day cancellations or missed appointment or no-show will be charged 100% of the scheduled service price. Payment made towards Panchakarma detox will be non refundable. 4. If appointment is cancelled within 24 hours of the schedules service and you decide to re-schedue, you may get 50% money adjusted for next appointment. 5. Kindly arrive at least ten minutes before your scheduled appointment time in order to ensure a full ayurveda therapy session. 1. Go to the page of the service you want to book. You can buy any service directly after following the "BUY BUTTON" at the service page of the website. 2. You can use Paypal account or credit or debit card to make the payment. 3. You can aslo do direct deposit in our business account, at the below given account. 1. Ayurveda is the traditional healing system from India and is based on the idea that each person’s path toward optimal health is unique. My program is based on an understanding of my unique constitution and the unique nature of my imbalance. My program may include lifestyle adjustments, dietary changes, herbs, yoga/meditation, Ayurvedic therapies, aromatherapy and therapeutic massages. The goal of all programs is to create within my body and mind an optimum environment for healing to take place and to maximize my body’s ability to heal itself. 2. Ayurveda generally is very safe. Most advice and treatment is non-invasive. Serious side effects or invasive treatments are very rare; less than one per 10,000 treatments. 4. PURE HERBAL AYURVED CLINIC is a complementry medical facility. 5. 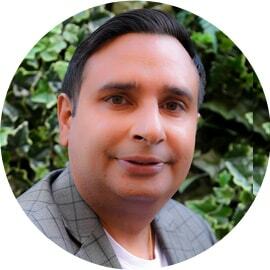 Gurnam Singh Saini and Pooja Saini are Clinical Ayurvedic Specialist. They are not Medical Doctors. 6. If I am suffering from a disease or symptom that has not been evaluated by a Medical Doctor or another licensed health care professional, it is recommended that I receive a proper evaluation. 7. No one in association with PURE HERBAL AYURVED CLINIC may recommend altering my medical prescriptions without the approval of my medical doctor. My Ayurvedic Practitioner may suggest that I speak to my doctor about reducing medications when he/she feels that it is appropriate. 8. While my Practitioner may take my blood pressure and vital signs and perform some examination techniques similar to a routine medical examination, my Practitioner is evaluating the findings from an Ayurvedic perspective only and not from a Western medical perspective. This examination does not take the place of a medical evaluation. If as a result of the examination, any finding suggestive of a possible medical condition is found, my Practitioner will refer me to a Medical Doctor for further evaluation. 9. I understand that the administration of Ayurvedic treatments could directly or indirectly result in minor adverse effects and or temporary discomfort including, but not restricted to, light headedness, dizziness, nausea, emesis (strategic vomiting), purgation (strategic intestinal evacuation), loose stools, fatigue and hopefully bliss while experiencing and/or recovering from the above detoxifying and purgative procedures. I do not expect Gurnam Singh Saini and Pooja Saini to be able to anticipate and explain all risks and complications. I wish to rely on them to exercise judgement which they feel at the time is in my best interest, based upon the facts known during the course of the procedure. 10. 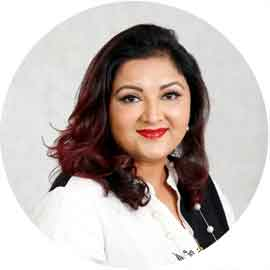 I further acknowledge that I am not seeking or undergoing Ayurvedic treatments as a result of any inducement or representation or promises made by the Ayurvedic practitioner or any other person in the clinic. I wish to proceed freely and voluntarily with such treatment and authorise Gurnam Singh Saini and Pooja Saini to proceed with such treatment with the full and informed consent on my part of all the relevant facts as set forth in this consent form. This consent shall apply to my initial and all subsequent Ayurvedic treatments. I have had an opportunity to discuss with Gurnam Singh Saini and Pooja Saini the nature and purpose of Ayurvedic medicine. I understand that results from any treatment are not guaranteed.